Embracing the divine feminine in the cacao, we open our hearts to a greater level of abundance of love. Physically, the medicine of cacao, theobromine, expands the vascular system around the heart by as much as 40%. Energetically, our heart energy expands in equal or greater proportion as we allow the medicine to do it's healing work. Cacao also aids in releasing repeated patterns, beliefs and blocks which could be stopping you, slowing you down or standing in the way of creating the life you love. 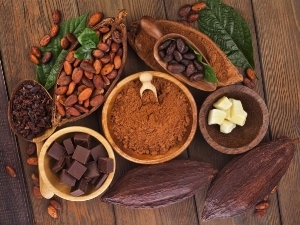 Cacao creates a stronger connection with the higher self (intuition, soul, God, Goddess etc.). This leads to an enhanced connection with your own power and truth; your divinity. Chocolate is a powerful facilitator allowing you to delve into your blockages. Cacao calms the left brain chatter, and allows us to delve more into that ‘no mind’ space of bliss. Cacao embraces the power of femininity, sexuality and fertility in many of the worlds most beautifully connected cultures. Physically, the theobroma in cacao stimulates blood flow to the heart and brain, hence the link to it being a true heart opener which can assist in deep emotional releases – particularity when its consumed with intention as part of a healing ritual. Lisa Morris has been attending and facilitating cacao ceremony on her farm, Divina Vida in Central Costa Rica for three years. She comes together with Flory Garcia, Farm Manager at Finca Divina Vida, who is a third generation cacao farmer. Cacao has been associated with connecting deeply with self and the divine due to these heart opening qualities. 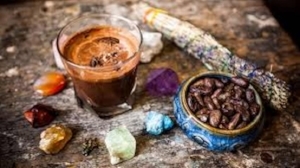 The natural high felt by consuming this natural chocolatey elixir can unite people with self and others due to the feelings of deep love and gratitude felt flowing outwards during sacred rituals using this gift from mother earth. Expanding the healing power of cacao, the healing sound vibrations of the Tibetan singing bowls brings our awareness to a new level. Collectively, the cacao and the sound healing combined allows for significant shifts in the body, mind and soul of those in attendance. Jenny Cribbs practices the ancient art of vibrational healing using the Tibetan Singing Bowls infused with healing intentions. She received her training in Kathmandu, Nepal at the Kathmandu Center of Healing. Her teacher was Shree Krishna Shahi, a 3rd generation Tibetan Singing Bowl Teacher and Sound Healer. Jenny fell in love with the singing bowls more than 3 years ago and decided to make the trip to Kathmandu to become certified in vibrational healing. Flory Garcia Aguero is a third generation cacao farmer from the mountains above Parrita. Her maternal grandfather planted cacao trees near Puriscal nearly 50 years ago and her mother and father planted their cacao farm here in San Gerardo alittle over 30 years ago. Flory carries the wisdom of the cacao plant spirit medicine deep in her ancestry and one can taste it in her preparations. Cacao is a feminine spirit and is always prepared as medicine for the people by the women. Join us on the farm for a Cacao Ceremony or request a private Cacao Ceremony at your location. We are available to travel within a two hour radius of Parrita. Please contact us for your event.